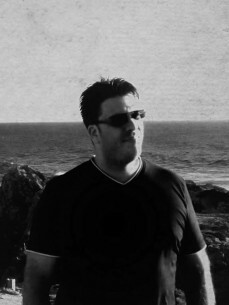 Alex Ander is a dual nationality Portuguese-American Dj, producer & remixer. This was during the nineties when Chicago & Detroit house was at it's peak, making him absorb all those new styles of danceable music and incorporating it into his life and music culture. From that moment on he became a Dj with a deep sense of groove and respect for the old school and it's true masters, which has influenced every production he creates. With residencies as his school of work, no one could be more adaptable to every situation that arises in a live act as well as his technical skills with turntables, even transitioning to the new era of digital djing. Technology is an asset, not a pre-requisit. A Pre-requisit is good taste in music. As a producer and remixer, he produces a variety of styles, all embracing the diversity of genres within House music. His main focus is to apply groove and melodic catchy sounds, also working with vocalist's from all around the world, delivering quality work, without being considered a mainstream producer. He has worked with vocalists like Kathy Brown, Michelle Weeks, Nicole Mitchell, Pete Simpson, Inaya Day, Virág, and many others to come in the near future. Without being mainstream, he's still able to hit the top 100 chart's with his productions, from Traxsource to Beatport and other websites in between, also having great reviews from major producers and dj's in the industry like Tony Humphries, Grant Nelson, Jamie Lewis, Aki Bergen, Dj Pippi... to name a few. Considered by many a new talent to be respected, he is very thankful and working to surprise you release after release.